Sheffield gets interesting after 5pm, so every week we are going to bring you some suggestions of great things to do in the city in the early evening. Whether it be dining, music, shopping or events, there’s always something to hang about after work for. Here are some suggestions for the 29 January – 4 February. 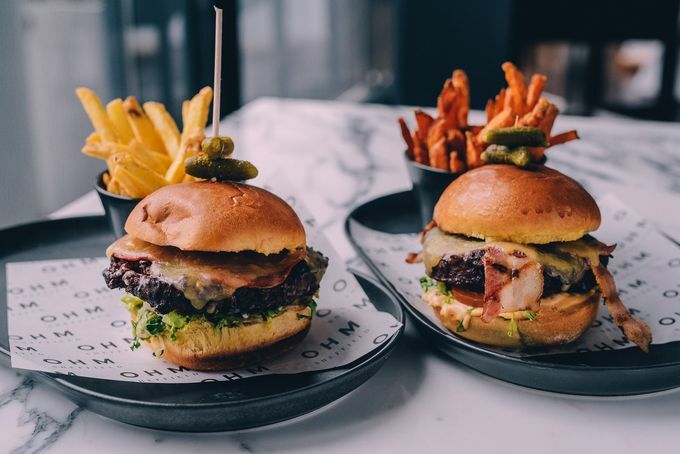 OHM Sheffield at West One, Fitzwilliam Street, is giving away free burgers on Wednesday 31 January, from 5pm. All you need to do is download your ticket online and you’ll receive an OHM Quarter Pounder Burger for free when you buy any side or drink. There will be two sittings from 5pm till 7pm and one from 7pm till 9pm. See more about dining deals available at OHM Sheffield, there’s one for every night of the week! The Rockingham Street bar and club will be open from 7:30pm on Fridays and Saturdays for Sheffielders to enjoy a touch of extravagance in Sheffield after 5pm. Find out more about Cocoon. Always been interested in growing your own food? Join Union St from 5:30pm on 1 February for a food growing workshop led by experience grower James Adams. The session will be focused on peas, but will also take a look a the upcoming growing season and how to plan accordingly. The event is pay-as-you-feel, with a suggested donation of £5 - £10. More details on Facebook. The Graduate on Surrey Street is teaming up with Brooklyn Lager for a tap takeover all this week. Expect classics including Brooklyn Lager, Scorcher IPA and East IPA. Also expect to see Naranjito Orange Pale Ale - new fruity American pale ale with zesty hints of orange. The Leadmill Comedy Club returns on Wednesday 31 January with four of the most exciting, upcoming names on the UK circuit. Rob Deering, Jenny Collier, Chris Kehoe, and Tiernan Douieb will take to the stage to perform four very different, but always hilarious routines. Get tickets on The Leadmill website.